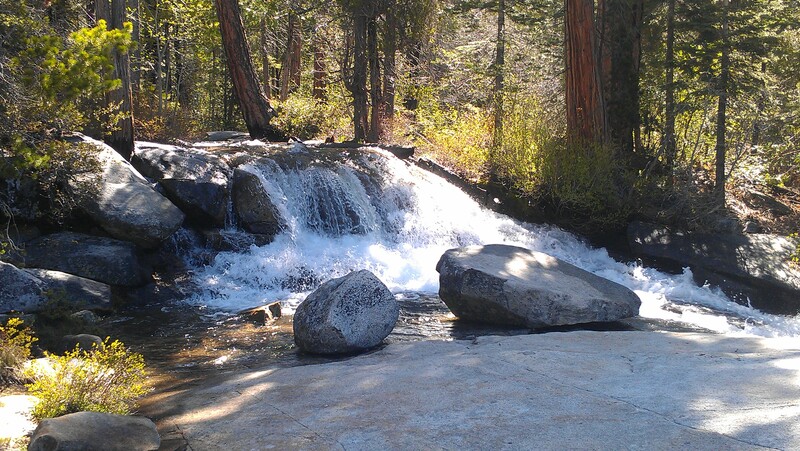 If you’ve made the drive from the Bay Area or Sacramento to South Lake Tahoe on Highway 50, then you’ve probably seen the rushing falls just prior to reaching Echo Summit. Those are Horsetail Falls! These amazing falls are located two miles east of the small town of Strawberry at Twin Bridges. You can pick up the trailhead at Pyramid Creek, which has a pretty decent sized parking lot. You’ll gain an elevation of about 650 feet (you may see slightly different numbers depending on your source) and the hike can take anywhere from 3-5 hours total depending how much time you want to spend at the summit of the falls. Two of my friends and I hiked this last weekend. It was actually quite busy for this early in the summer season, but there’s plenty of room on the trail. We started at about 9am and made it to the top of the falls by 10:15am. There are several trail options through the woods as you can pretty much determine your own way up. 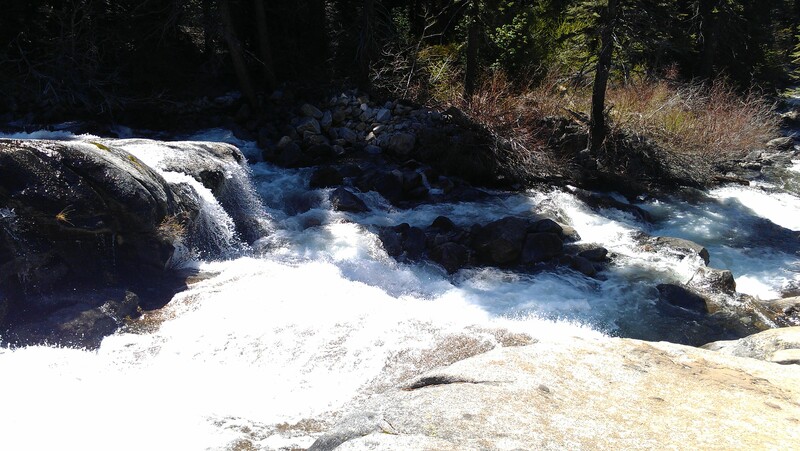 We followed Pyramid Creek and first passed Cascade Vista, which is an amazing running fall over smooth granite rock. As we creped closer to the falls, we filled out our free permit at the “wilderness boundary”. 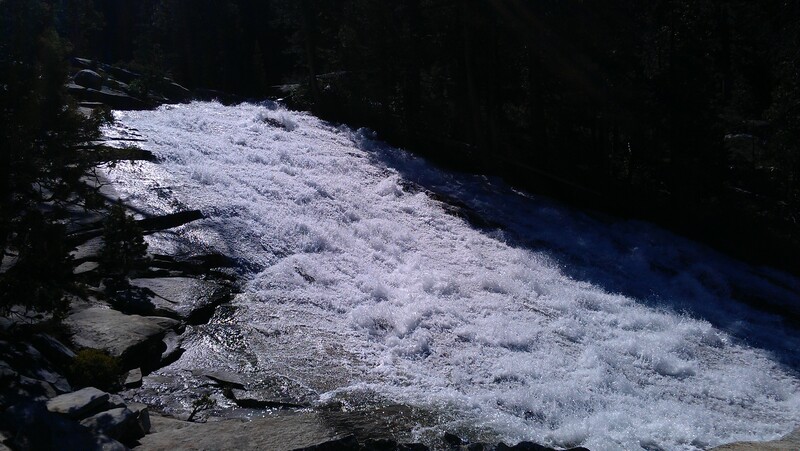 Continuing along, we reached the steep rock slabs just below the falls. This is where the trail gets steep and more technical. We scrambled up the rocks just to the side of the falls and made it to the top where there are beautiful little pools and interconnected waterways surrounded by beautiful mountains and saddles. We spent about 20 minutes exploring and then made our way back down. Below is a video describing the hike. The hike starts out moderate and if you’re not into scrambling up the rock slabs to the top of the falls you can just follow the Pyramid Creek Loop. If you follow the creek, make sure to dip near the water as there are some fun pools to swim in when the water is a bit warmer in the summer. Scrambling up the rocks and boulders to reach the top of the falls can be quite strenuous and dangerous. It’s important if you continue up that far to make sure you have the right equipment. One of my favorite places to purchase that equipment is Tahoe Mountain Sports in the north shore. As soon as you reach the top of the falls, if you look left you will see Pyramid Peak, at almost 10,000 feet above sea level. Below are some pictures from our fantastic day! 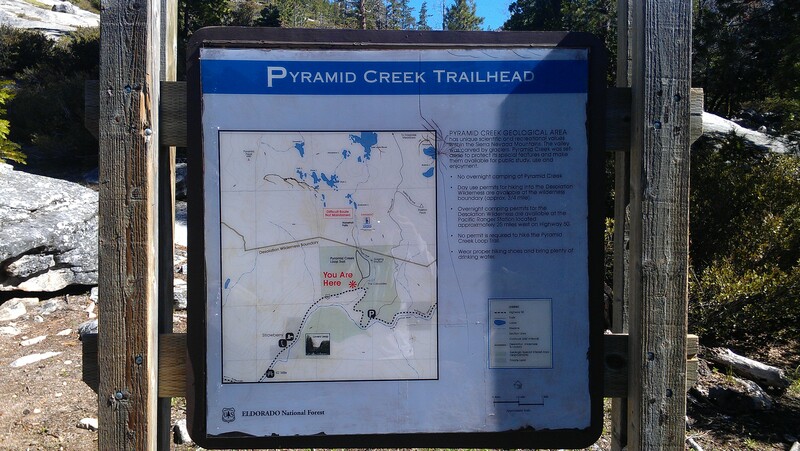 As I mentioned you want to start at the Pyramid Creek trailhead. 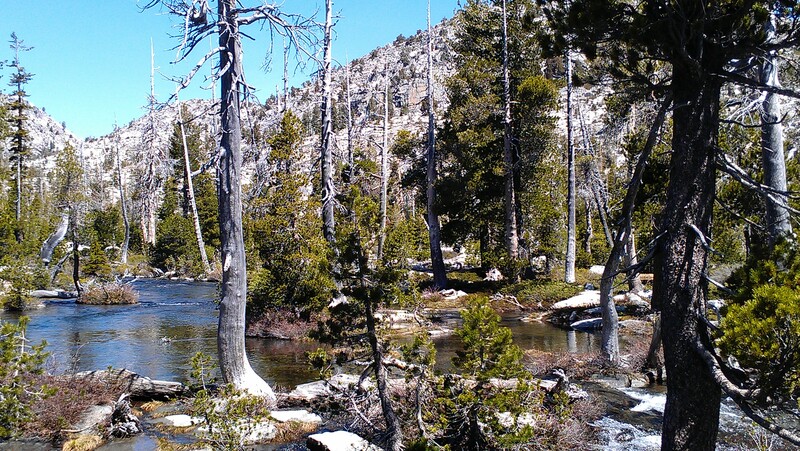 To get there from South Lake Tahoe, follow Highway 50 through Meyers. Continue over Echo Summit, also known as Johnson’s Pass. Once you come down the other side, you’ll continue further to where you’ll see a parking lot on the right. You can park there and it costs $5. However, there’s no charge yet so if you make your way over there in the next week or so it’s still free! 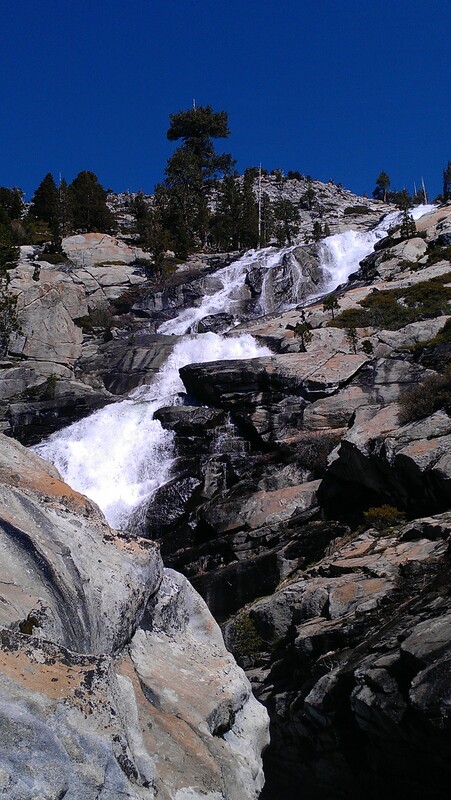 Horsetail Falls is a great hike! It’s a hike for all types and skills of hikers. One last comment however, please be careful hiking, mounting biking, rock climbing or any outdoor activity. Be prepared and cautious. As we were driving back from the hike from Horsetail Falls we saw a CalStar helicopter and several cop cars drive by. A few guys were climbing Lover’s Leap and someone fell. 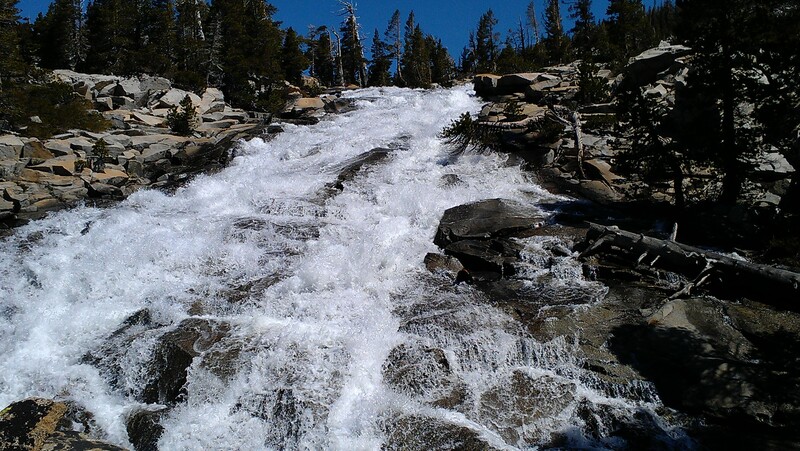 You can read more on this at the Tahoe Truckee Outdoor blog, Climber falls from Lover’s Leap. 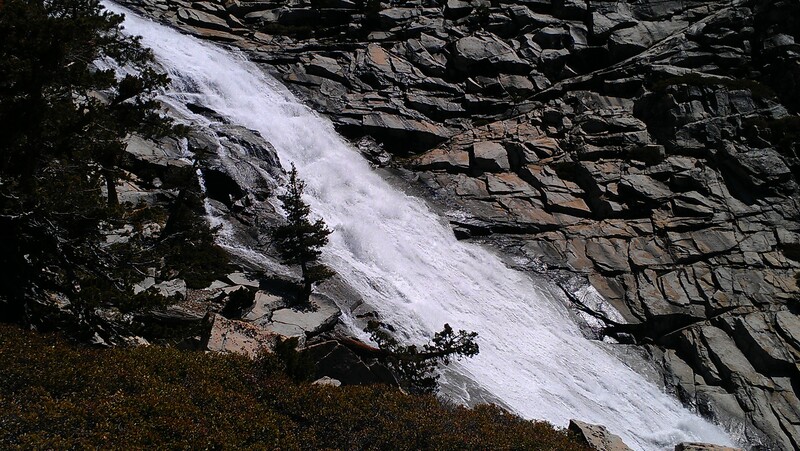 Have you hiked Horsetail Falls? If so, or if you might in the near future make a comment below! Also, follow me on twitter @sberei!